AVI Global Plast is keen to crack the Australasian fresh produce market with its latest thermoformed punnet offering. Leading Indian packaging company AVI Global Plast is ramping up its commercial production of thermoformed punnets and trays, made from recycled plastic bottles. The punnets are produced in-house, which AVI says makes it one of the leading companies in India to manufacture the packaging products that were, until recently, largely imported into the country. Manufacturing of the thermoformed punnets began in January this year, just in time to cater for the Indian table grape season. Now, after a successful first foray into the grape industry, AVI is looking to expand into the fresh produce markets in both Australia and New Zealand. For more than ten years, AVI has been producing PET and rigid PVC sheets for the Indian produce market and also represents UK group Sirane in India – a company specializing in absorption pads and biodegradable breathable bags, used to balance moisture that can extend the shelf-life of products like mushrooms from three days to fourteen. The company’s production facility is spread over 20,000 sq. mt. 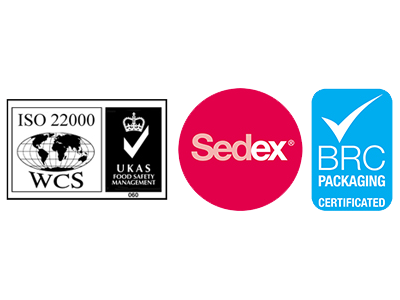 and it is certified to international standards including ISO 22000 and British Retail Consortium. All of its products are made using 100 percent food-grade raw materials compliance with EU directives and REACH norms.